Hello Vegas! Keg is ready are you? Now a full day hre in Vegas and things are moving along great! We’ve a lot of things going on like the App Space, SAP CodeJam mini editions and Innovation Talks. And of course our #hackthekeg event. 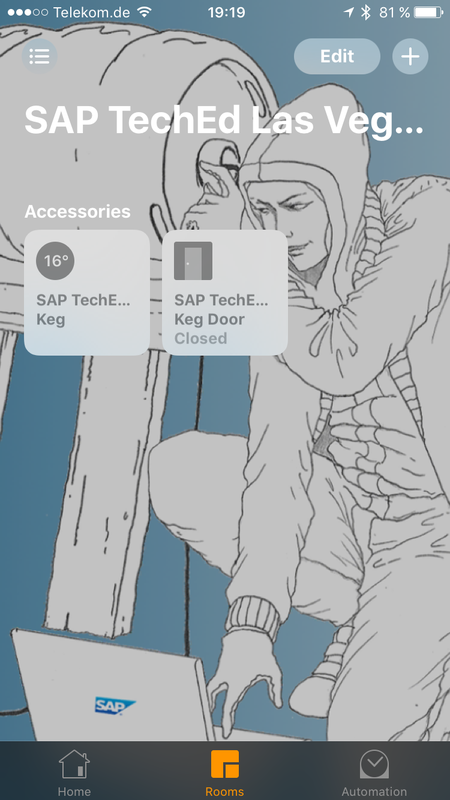 The Kegerator should be here now, I’ve not yet seen it but it should be somewhere in the shipping/receiving area. Our pages are online, setup, updated, registration looks great and we even have a waitlist already growing. I’m confident and working with the event organization to ensure we’ve more than enough room so get on the waitlist if you are interested and we’ll be letting everyone know by the morning of the event at the latest and I hope sooner! 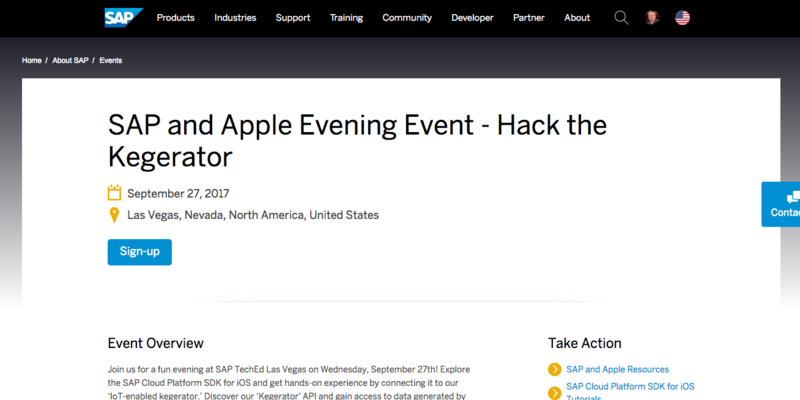 I’ve already had questions today about coding, and yes since we have a focus on the SAP Cloud Platform SDK for iOS to try that you will need a MacBook – however our goal is information sharing and for that you just need interest to attend! So if you are interested be sure to come by and check things out, talk to the experts and try accessing the data yourself and what you can do with it!